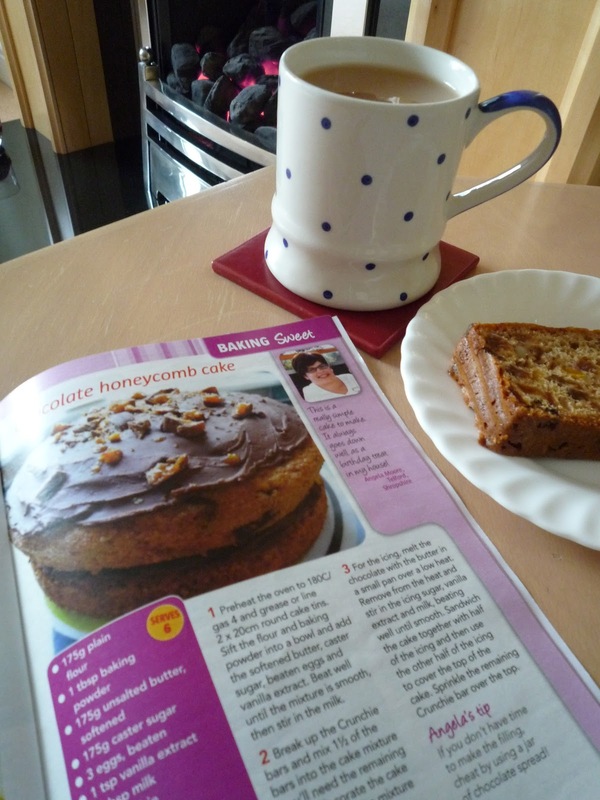 I'm delighted to say that I have had a cake recipe published in Issue 2 of Take a Break - My Favourite Recipes magazine. A cake I baked last year for my sisters birthday, Chocolate Honeycomb Cake. I know, you're about to dash off to your local WH Smiths to get your hands on a copy. OK, so its not exactly on the same scale as having my own recipe book published, but it may as well be - I'm just as delighted. My Favourite Recipes pay £25 for each recipe they publish. If that's not exciting enough the most popular recipe published in the issue will win £500! Just think of all the wonderful kitchen equipment you could buy with that! So now to the blatant begging for your support. If you love the sound of my recipe, I would be more than happy if you could pop over to the My Favourite Recipes Facebook page and vote for Angela's - Chocolate Honeycomb Cake. Every one who votes also has the chance to win a Kenwood Filter Coffee machine. Remember, if you fancy seeing your own recipe in print, you can upload your entry to their Facebook Page. Congratulations. Here's hoping you win. Chocolate, honeycomb and cake are three of my favourite words. Well done on being published! My recipe for aubergine ikra is in the same issue, so I am also begging all my family and friends for votes, I think they are starting to hide from me. I just wish they did the random choice for a winner, or someone professional made a decision. This way it would be fair on all those who don't have many friends on FB. Your recipe is delish! Got my cheque for £25 today, and already spent it. Well done! That is very exciting and I'll be over there in a mo to vote. Thanks for the lovely comments and to those of you who have voted. Congratulations!I have voted for you. It must be really rewarding to see your own recipe pubblished. Well done you! Congratulations - no wonder they published it, your cake sounds divine.